We are officially less than one month away from the new Dreamworks Animation Voltron: Legendary Defender animated series on Netflix! The first 13 episodes will be released on June 10 which will be followed up by a new Lion Forge comic book series beginning in July. After teasing us last month, the official full-length trailer dropped yesterday and gives us our first dialogue and look at the characters. The five space explorers are the main focus, but we also get a glimpse of Princess Allura and villains King Zarkon and Witch Haggar. 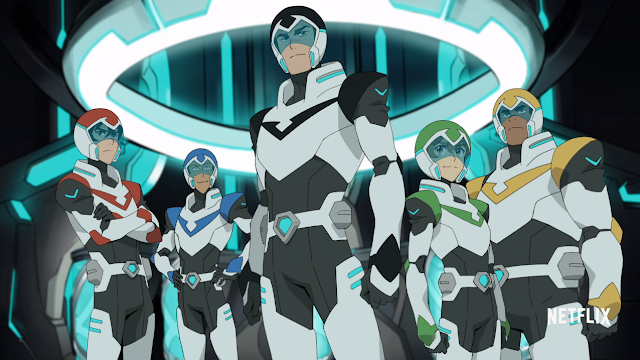 The animation looks brilliant with a nice mix of modern and Voltron's traditional anime. It seems there will also be some humor mixed among the team amidst the heavier universe-defending tones. Check out the new trailer below and leave your thoughts in the comments.